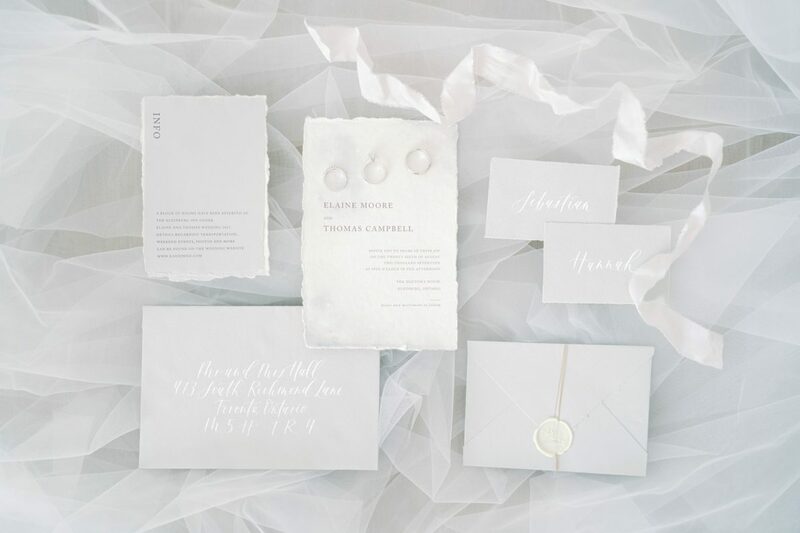 Natalie from Ivory and Twine for supplying these gorgeous invitations for this blog post! So many times we get to the bride/groom prep location and find it very difficult to find a clean styling surface to do the detail shots on. A nice clean couch, unique rug, etc are all nice styling surfaces for wedding details. 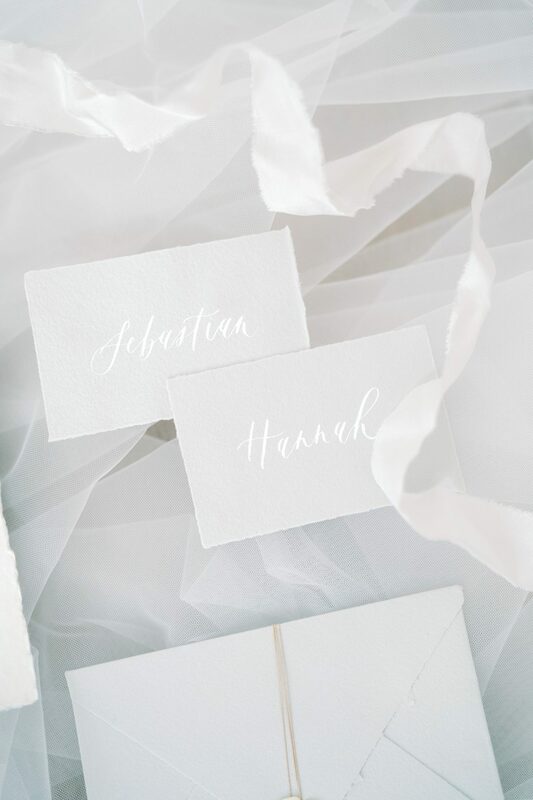 These detail shots may be very important for the bride and groom and who wouldn’t want Instagram worthy shots these days! 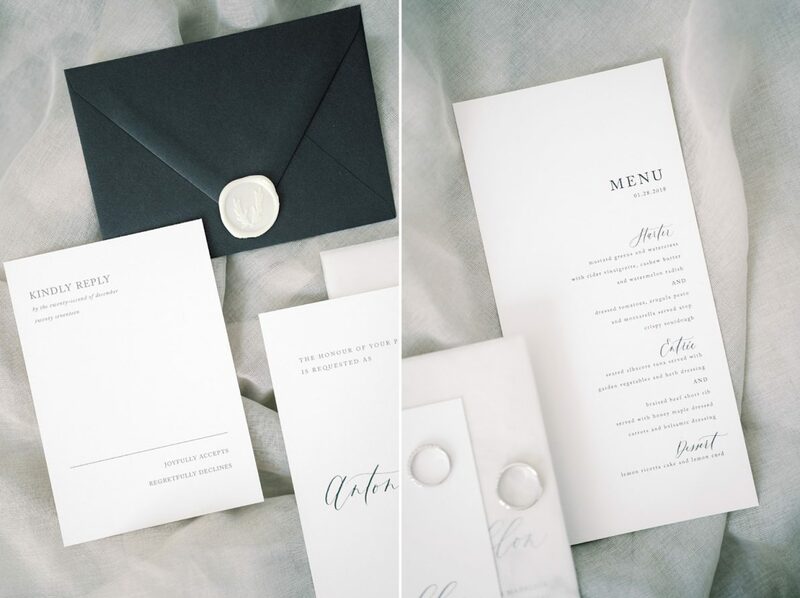 I want to thank Natalie from Ivory and Twine for supplying these stunning hand crafted stationary suites below! If I don’t bring my own styling surface, then most of the time I will leverage the bride’s veil as my styling surface. This way, I am also including her veil in the detail shots without the need to shoot it separately. 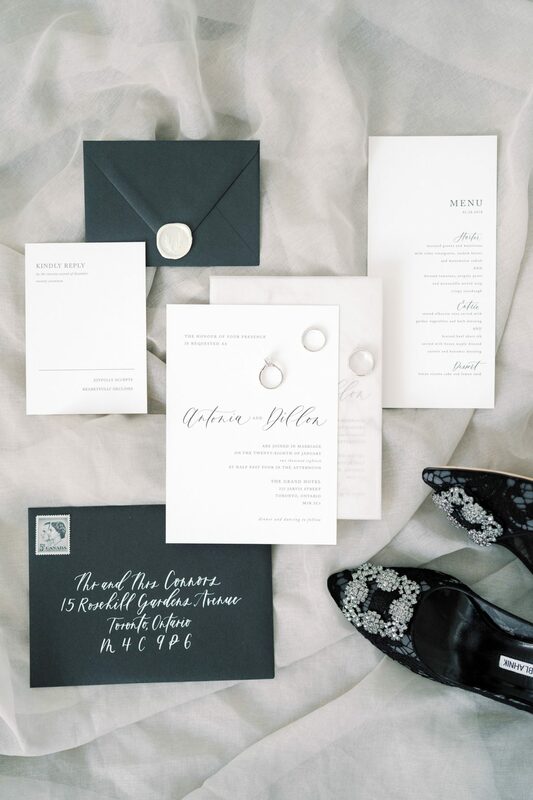 Below is an example of how I just laid the veil on top of hardwood floor and styled the wedding stationary on top. 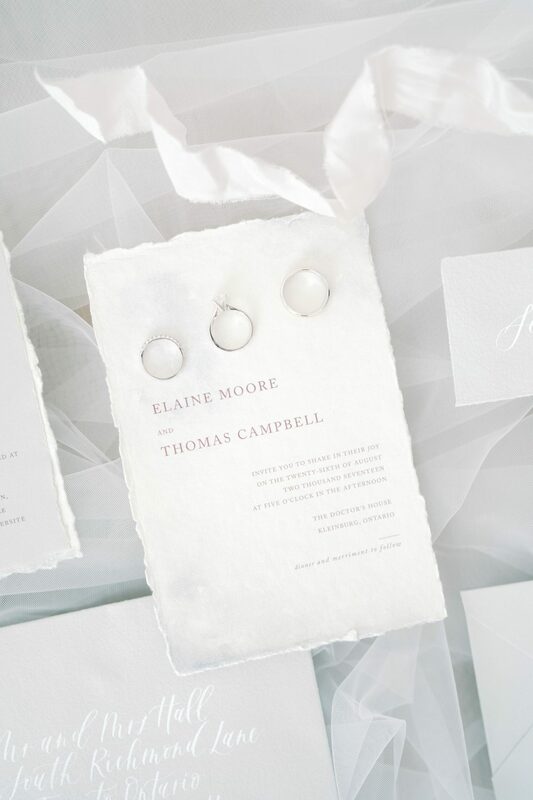 In the below example, I used a $10 piece of fabric that I bought from the Fabric Land store in Toronto as my wedding details styling surface. Just like the veil, I again just dropped it onto the floor and styled my details on it. This piece of fabric is pretty big but I can scrunch it up and toss it in my bag when I’m done. It’s $10 so I’m not too worried about getting it dirty or accidentally leaving it at the bride’s place or hotel. I think this does the trick quite nicely without having to spend a fortune! Or if you are really crafty you can create your own styling board! Magnolia Rouge has a great tutorial! I’m not good with arts and crafts so I’ll let the pros do their thing! 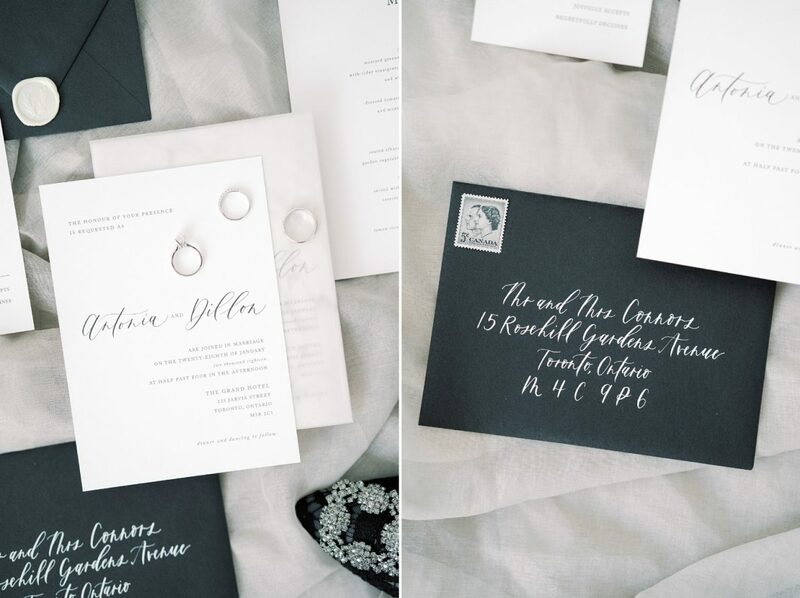 I hope this was helpful and relieves a bit of stress on the wedding day! 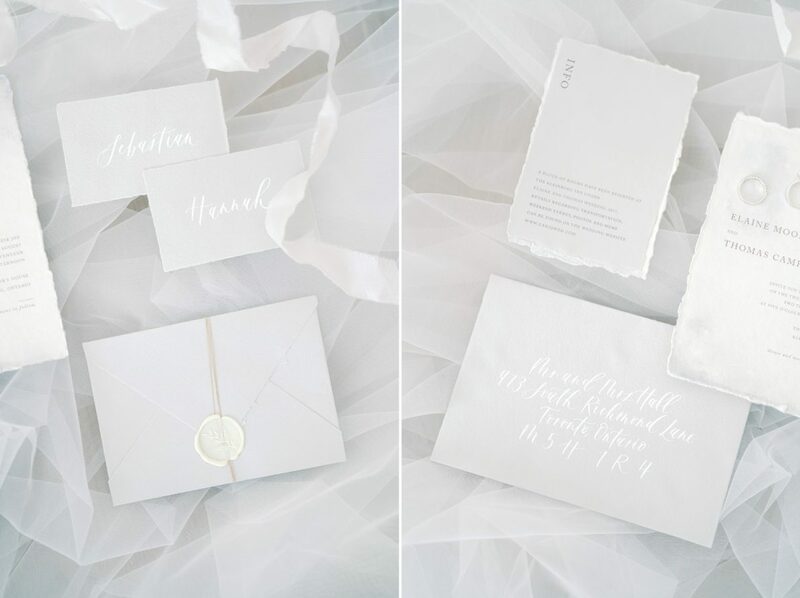 Stay tuned for another blog post about ways to style wedding invitations!